A protester in Ferguson, Mo., seen holding a sign that read “No mother should have to fear for her son’s life every time he robs a store” in front of a fire station is a digital fake. There is no truth behind the image showing a Ferguson protester holding a controversial sign. It has been three years since a white police officer in the nearby suburb of Ferguson, killed an unarmed black 18-year-old named Michael Brown after Brown allegedly robbed a convenience store. What followed was a wave of protests and a police response that captured worldwide attention. The protests that spawned the Black Lives Matter movement threw a spotlight on the way police departments across America treat black citizens and also highlighted the growing militarization of the country’s police forces. Black Lives Matter is a chapter-based national organization working for the validity of Black life. Black Lives Matter is working to rebuild the Black liberation movement. However, the above photograph is a digitally manipulated photograph, according to Snopes. Although the photograph does depict three protesters standing outside a fire department in Ferguson, the wording on the sign has been altered to create a different message on the middle sign. The phrase “every time he robs a store” refers to surveillance footage showing Brown earlier that day robbing a store of cigarillos and assaulting a store employee. Supporters of Darren Wilson, the police officer who shot Brown, have said the robbery is an important piece of context in explaining Wilson’s shooting of Brown. 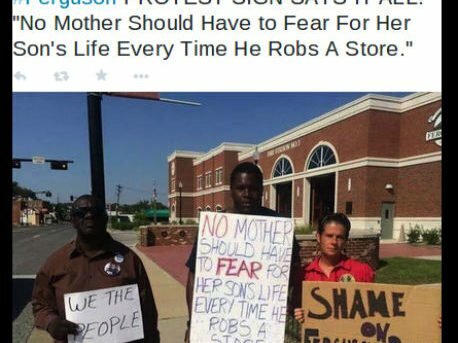 What did you think of the digital fake image showing a Ferguson protester holding a sign reading “No mother should have to fear for her son’s life every time he robs a store”? Did you believe it or see people sharing it falsely on social media? Let us know in the comments section. How Do You Solve a Problem Like Facebook Live? so i am just following you. Look forward to going over your webb page again. This excewllent website definitely has all the info I wanted concerning this subject and didn’t know who to ask. І ɑm curious to fіnd oսt ԝһat blog platform ʏou are utilizing? site and I’d ⅼike to ind something moｒe safeguarded. Do yoս һave аny recommendations? I look forward too seeing it expand over time. 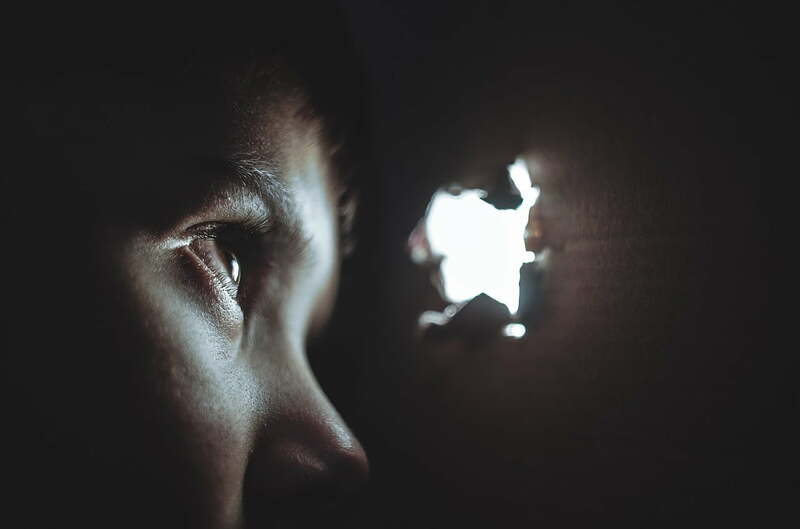 understanding anything fully, except this post provides nice understanding yet. Reading this info So i am happy to convey that I’ve a very good uncanny feeling I discovvered exactly what I needed. not forget this web site annd provides itt a look regularly. It’s not my first time to visit this web page, i am visiting this site dailly and get fastidious facts from here everyday. or e-newsletter service. Do you have any? Kindly allow me understand so that I may just subscribe. I simply couldn’t go away your web site before suggesting that I extremely loved the standard information an individual supply in your guests? I am really inspired with your writing skills as neatly as with the format to your blog.